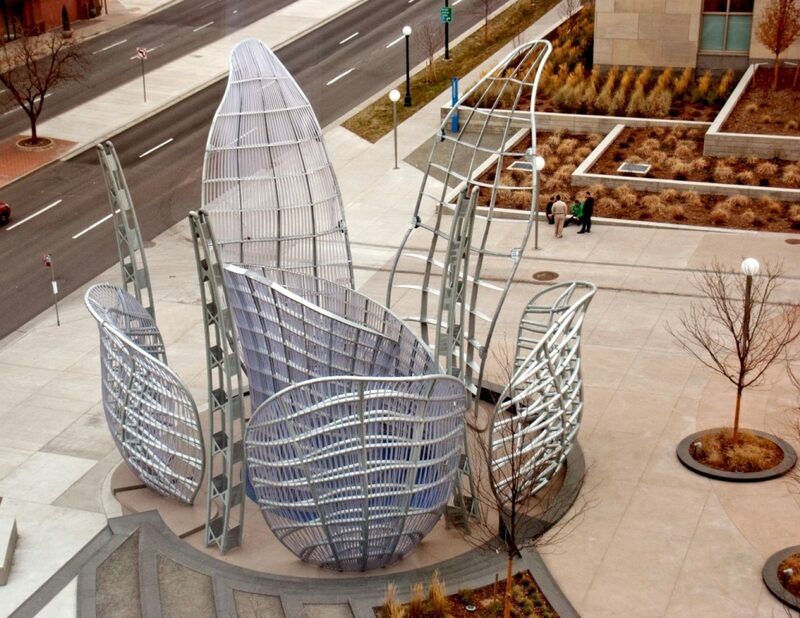 With gracefully arched petals blooming skyward, the Light Chamber sculpture blossoming at the entrance of the Denver Justice Center utilizes organic curves and natural materials to generate a sense of airy, natural lightness and movement. 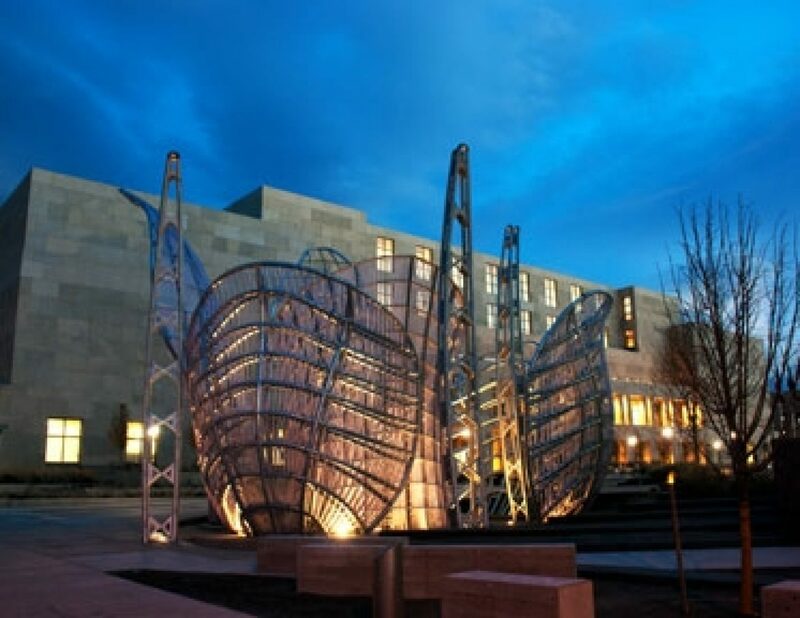 Artist Dennis Oppenheim, who has incorporated galvanized steel in several outdoor artistic displays, wanted to create a free-flowing sculpture of leaves and flowers to symbolize the wide variety and multitude of decisions made in the judges chambers. "More than 29 tons of steel, was galvanized to ensure the 45-foot tall outdoor display would remain stately and corrosion free for generations." The artist explained the structure to be a three-dimensional representation of the mental processes exercised by the judges and juries within the center, where the complexities of decision-making are represented by the myriad metal pathways comprising each petal of the piece. 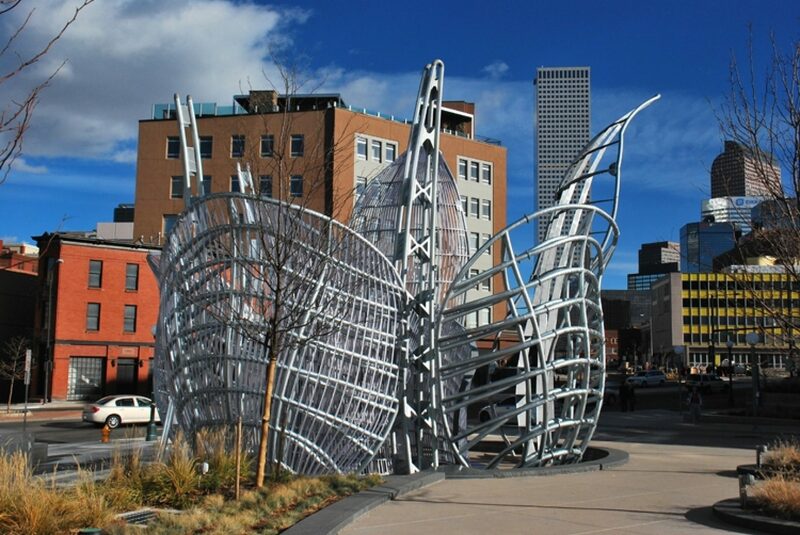 Located at the corner of Colfax Avenue and Elati Street, the sculpture is at the center of one of the most highly trafficked roads in downtown Denver. Light Chamber was developed in the hope of creating a vibrant city plaza for visitors and pedestrians, as well as a visual escape for workers of the Justice Center. The prominent and visual nature of the piece warranted the best corrosion protection system available to prevent the unsightly scarring and damage of rust stains. 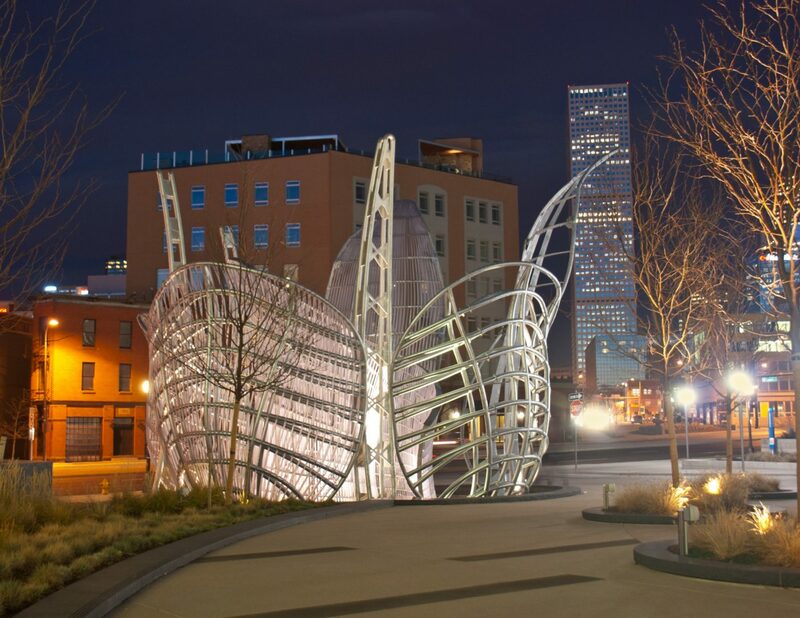 Long-life and low maintenance were high priorities for this outdoor structure, which must stand strong against the varied and sometimes extreme fluctuations of the Denver climate. All components of the main structure, totaling more than 29 tons of steel, were galvanized to ensure the 45-foot tall outdoor display would remain stately and corrosion free for generations. 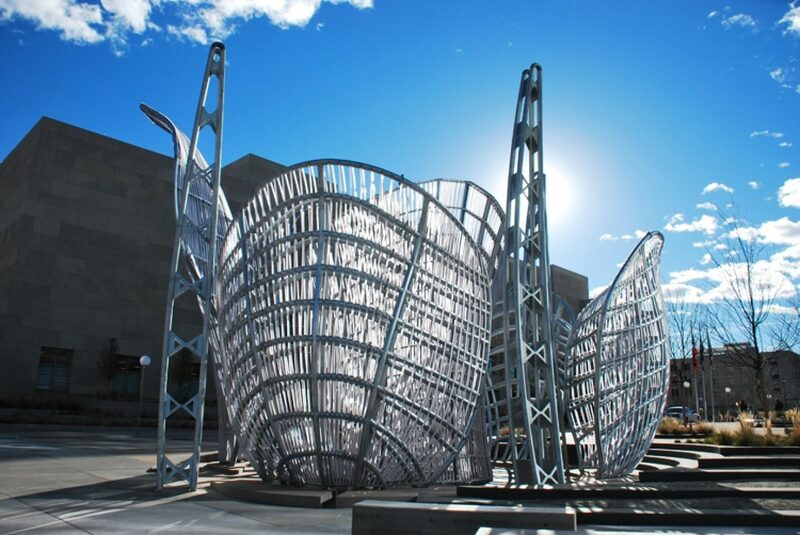 The durable barrier protection of the zinc coating will protect the piece from the harsh sun and exposure to snow and rain, while the cathodic protection of the galvanized still will protect the piece from any nicks and scratches. All this will be done with no required maintenance for 75 years or more, ideal for maintaining low cost. The size and aesthetic nature of the structure presented challenges for the completion of Light Chambers. Because of the large size of the elements, the engineer was required to pay particular attention to the design aspects of each component to ensure the sub-structures would fit within the galvanizers kettle dimensions. Not only were the components designed to fit a deep kettle, they also required special consideration to ensure the venting and drainage necessities were kept to a minimum and relegated to areas of low visibility on the final structure. With the engineer, fabricator, and galvanizer working together, the process was completed successfully within the project schedule. 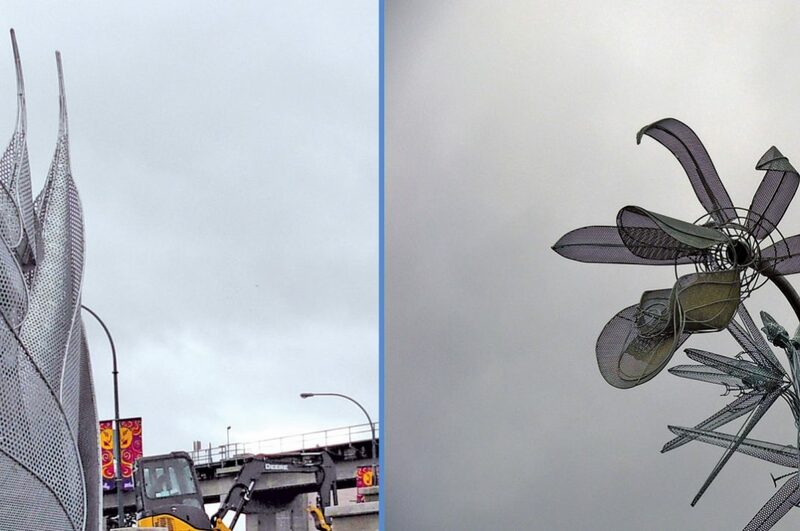 The final appearance of the sculpture was an appealing, natural and consistent silvery gray that blends into the surrounding city elements, while allowing the organic shape and structure of the piece to stand out amid the straight-edged buildings surrounding it. With hot-dip galvanized steel, this piece will stand tall and lovely, unaffected by the ravages of corrosion, for decades of decision-making. 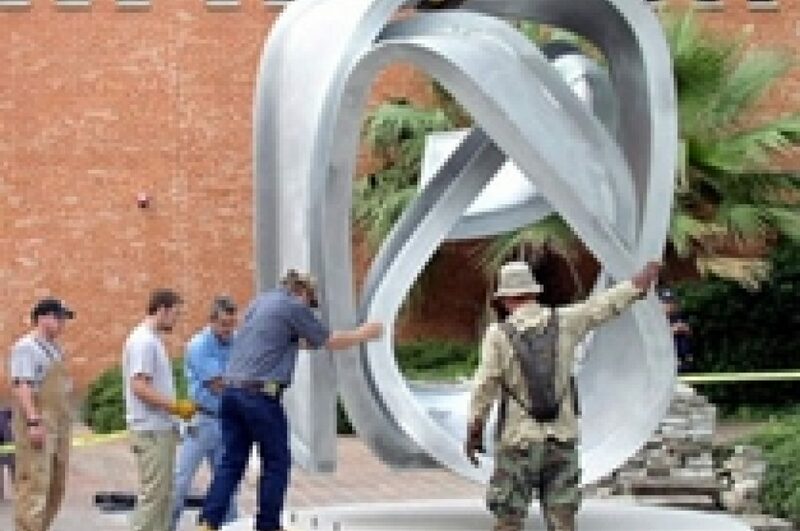 All major components of this sculpture were galvanized.